JessicaReber on Oct. 17, 2017, 3:53 p.m.
Unrolling silage bales into the pasture? Clearing a field of square bales? Stacking into rows? 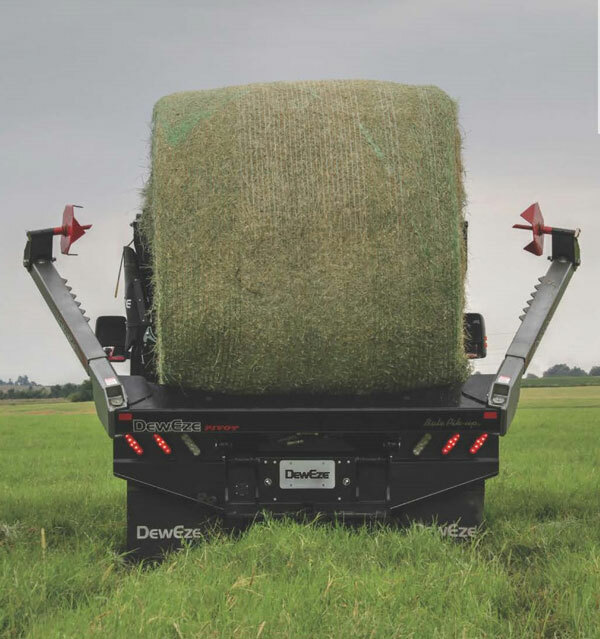 No matter the operation – DewEze Parallel and Pivot style bale beds offer a solution for your ranching needs. But which model is the best fit for you? The traditional Parallel Squeeze has a grip capacity of 41 to 90 inches. In 1984, the introduction of the DewEze Parallel Squeeze gave cattlemen a lift on feeding chores. The flatbed’s versatility, convenience and rugged features transformed the way ranchers worked in the field. This “mobile package” cut feeding time, reduced waste and, for the first time, offered ranchers long-distance hauling. 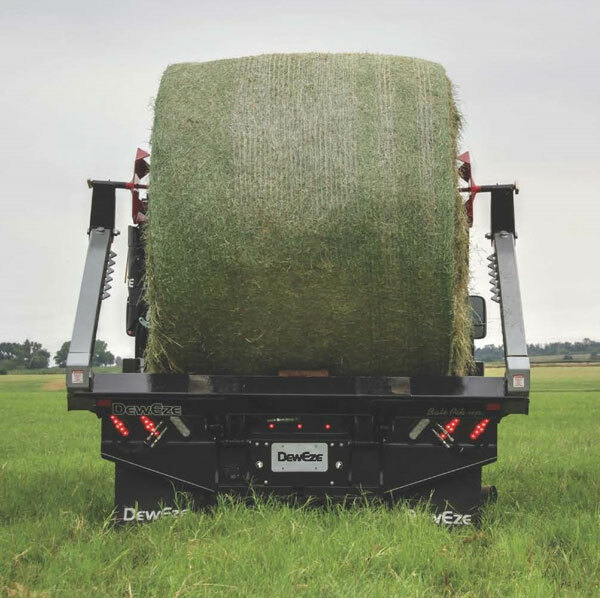 DewEze offered ranchers the best of both worlds with the release of the Pivot Squeeze in 2013. Engineered with the same strength and sophistication as the leading Parallel Squeeze, the Pivot model's arms open and close from 110 to 34 inches. The Pivot’s synchronized arms open and close from 110 to 34 inches. What do you use your bed to haul? Which style do you prefer? We’re always interested to hear what works for you. For media inquiries about DewEze and other Harper Industries products, please email press@harperindustries.com.